The Queensland government plans to ban single-use plastic bags from 2018 but the public will have its say first. On Friday the environment minister, Steven Miles, released a public discussion paper on the ban of lightweight single-use plastic shopping bags. Miles said the policy was light on detail but the Labor government wanted as much feedback as possible to get the right balance when the ban came into effect. 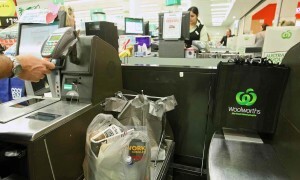 “Retailers and environmental and community groups who attended plastic bag workshops in Queensland in 2015 and a national plastic bag roundtable in Sydney in February 2016 agreed there was a need to restrict single-use plastic shopping bags,” he said. Similar bans are in place in South Australia, the ACT, Northern Territory and Tasmania. The Queensland opposition leader, Tim Nicholls, earlier this week pledged to phase out single-use plastic bags from shopping centres if the Liberal National party was elected at the next state poll, due in early 2018.